Japanese Beauty and Skincare: Thanks Milk Tea! We hear so much about the quality of Asian skincare, cosmetics and beauty gadgets, but they're so hard to get our mitts on over here. Yes, there are sites like Adam beauty but it's entirely baffling if you don't know what you're looking for. So I was beyond excited to receive a parcel crammed with amazeballs bits and pieces from Japan, courtesy of the lovely Siobhan at Milk Tea. If you haven't yet checked out her blog, do pay her a visit - she's a Dubliner living in Japan and her site is a real treat; it's packed full of fashion and beauty and tales of her Japanese adventures. So what are we looking at here, then? 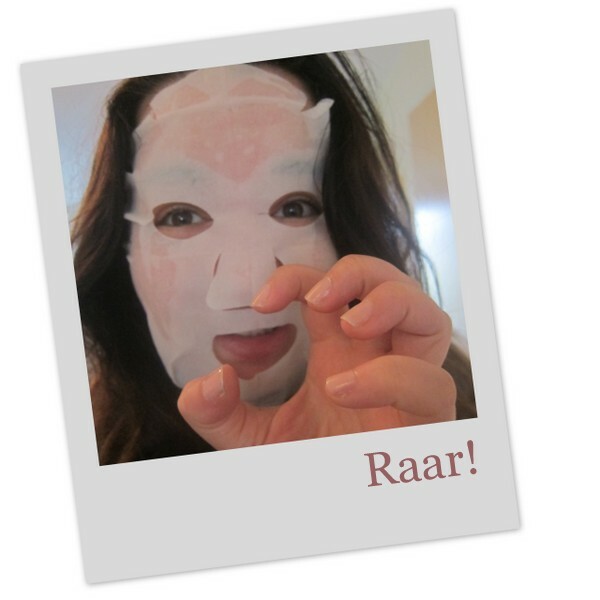 ONE: I love these rose scented sheet masks, that you heat for 5 minutes in hot water before application - I'm wearing one as I type, and though I look terrifying (as evidenced below! ), the mask is packed full of moisture. The dehydration lines on my forehead have been reaping the benefits of the strawberry point pads, which are like mini sheet masks for specific areas, and loaded with Vitamin E, hyaluronic acid and collagen. As for the skin-roller, Siobhan recommends it for use in the bath and I will try that, but for now I use it to loosen up the tight muscles in my neck (it's been giving me lots of trouble lately). TWO: Bath salts are massive in Japan and Siobhan kindly sent me four sachets, three of which are 'hot baths' to sweat out the toxins from your skin. Should be interesting! THREE: I've been on a bit of a green tea kick since before Christmas but have yet to find an at-home version that tastes as good as in my favourite Asian restaurants. I've high hopes for this one and have already eaten most of these grape flavoured collagen sweeties - they're deliciously tangy and who knows, they might also help with the elasticity of my skin. FOUR: Here we have the most delicious scented handcream - think cake, ice-cream and milkshakes - along with some sachets of bubble bath and BB cream. There's also a felt tip pen eyeliner and what has almost instantly become my new favourite lipstick. 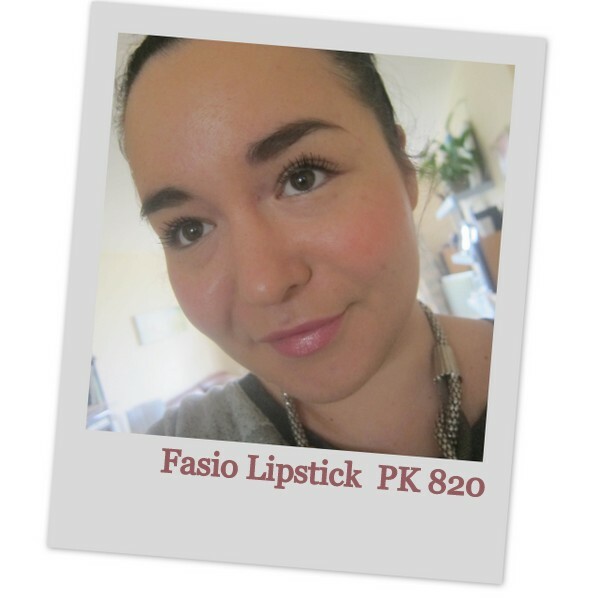 The brand is Fasia, the shade a pretty pink (PK 820) and the formula feels insanely moisturising on the lips. Loving it! If you're interested in checking out more Japanese beauty, make sure you also swing by Glossed in Translation - Lizzie studied Japanese and lived there for a year, and her site is packed with in-depth and knowledgeable reviews of Japanese brands. And don't forget to check out Milk Tea! I'm incredibly grateful to Siobhan and hope she likes the package of goodies I've sent over to her. 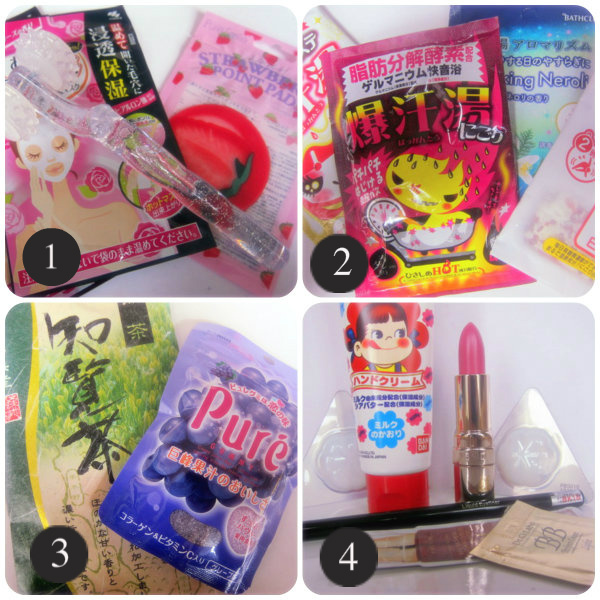 Have you tried any Japanese beauty bits, and do you have any recommendations for me? I know T - I gave himself a real fright when he came in and found me wearing it! Wow! This is all new to me. The mask looks scary!!!!! There are so many good masks in Asia - I just wish i could figure out the best ones! I like Cure agua gel for exfoliation! Haha, you are too cute for posting that mask pic! I've never seen or tired andy of these products before so its really interesting for me to hear about it. Aw everything is so appealing, that lippy is gorgeous on you!!! 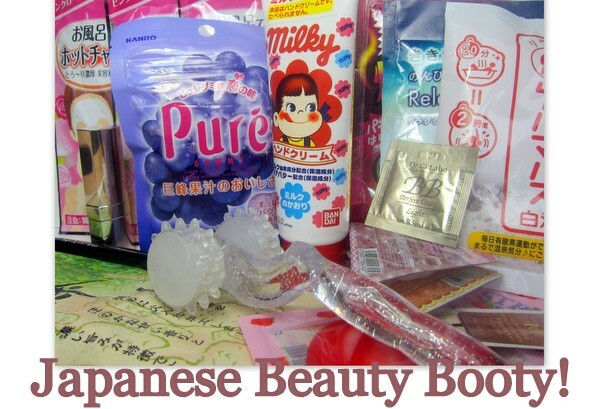 There are so many amazing Japanese beauty products. When I was in Tokyo I was totally overwhelmed. Unfortunately since I don't read Japanese I could not always understand what some things were for. But sometimes the packaging alone makes you want to buy. Japan is on my must visit list, dying to go visit Hello Kitty world! Wish we could get half the stuff they have over here. that was so sweet of her! you got some great products. i've tried an asian mask and love it. they have really good products. Interesting to see all their beauty products. The mask is crazy looking but I do love the color of the lipstick:) I tried a Japanese line years ago and I can't remember what it was. I have a patient that brings stuff back from Tokyo (she has business there all the time) and she swears by their products. Fun! You're so sweet! If I ever have to write about myself I'm going to hire you to do it, haha. I'm glad you like everything, especially the lipstick. That was a bit of a risk! i want everything, especially from pictures one and two!! Love the lippie on you such a gorgeous shade. I like the sound of the hot bath salts too. Dry Skin Cream For Face - Elmore Soft is a gentle and ideal non-greasy cream that may be used by any family member for an immediate dose of essential moisture.